They refer to the NCAA Men’s Basketball tournament as March Madness. I say getting 8 inches of snow on March 23rd is March Madness! This weekend it’s down to 4 teams – The Final Four. I’ve come up with a March Madness competition that everyone can enjoy. I wish I could figure out how to make this photo rotate and float in space on the page. What is it? 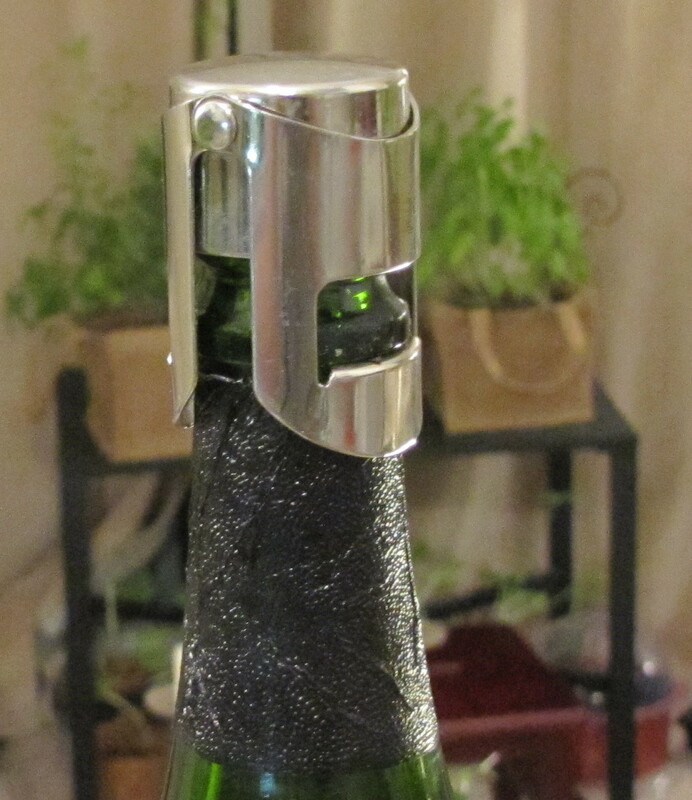 It’s a champagne stopper. It allows me to finish half a bottle of sparkling wine and still have bubbles the next morning for a Mimosa. The stoppers cost about $10, last forever, and work like a charm. Any good kitchen store will have them. Of course if you are French then you have no use for this – the French saying goes something like this, “A Magnum (double bottle) is the perfect size bottle of Champagne for a man to share with his wife – if his wife isn’t drinking“. 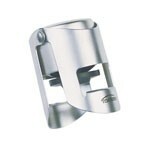 Well for the rest of the world, who wasn’t weaned on Champagne, a champagne stopper is an essential wine gadget. My new Weinfrischhalter Geschenskset is a dream and so easy to use. Just three simple steps – Weinverschulss leicht in die Flasche drehen. Pumpe auf Weinverschluss aufsetzen und die Luft aus der Flasche pumpen bis deutlicher Widerstand spürbar is. 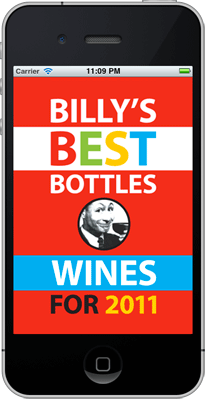 Maybe that’s four – but either way, Bob’s your uncle, your wine is fresh and ready to drink another day. The real advantage of a Weinfrischhalter Geschenkset is that you can open up two bottles tonight, taste and compare them, and they are as good as new the next night. 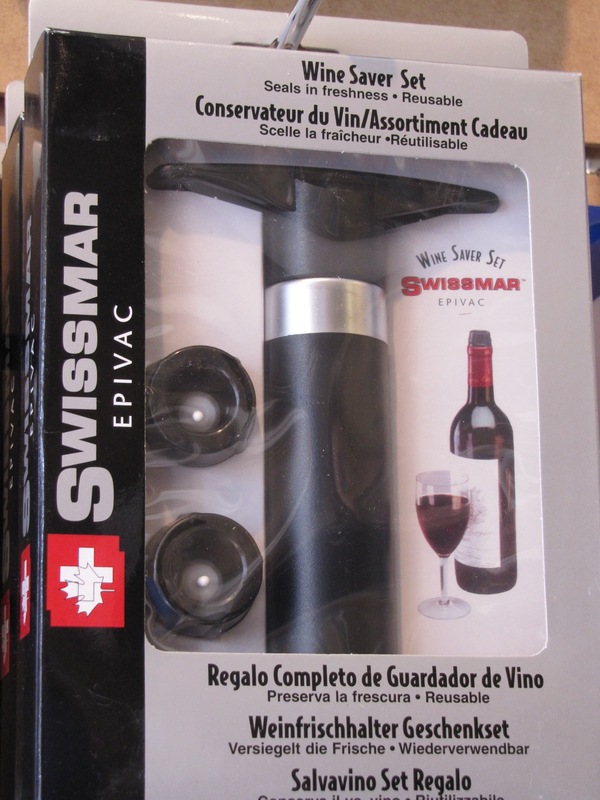 The “wine suctiony thing”, as my brother-in-Spain calls it, creates a vacuum inside the bottle so that the wine isn’t exposed to the air which causes the wine to lose it’s character quickly. $15 bucks and my wife and I can taste test two bottles of wine without either wasting two good half-bottles or getting a bad headache. Clever – and for the life of me I don’t know why I find German words so amusing. Does the world of wine look like this to you? These are only the wine regions in Spain for Pete’s sake! It seems so confusing but I can help. Or rather, René Descartes can help. René Descartes used the philosophical method of Reductionism to analyse a problem. Reduce the problem to its simplest elements – but no simpler. Look at the map below and see what Descartes can do for you! I call this approach the Cartesian Wine method and with apologies to all my friends who teach Math, it’s going to catch on much faster than Cartesian geometry. Here is the map of Spanish Wine 101. 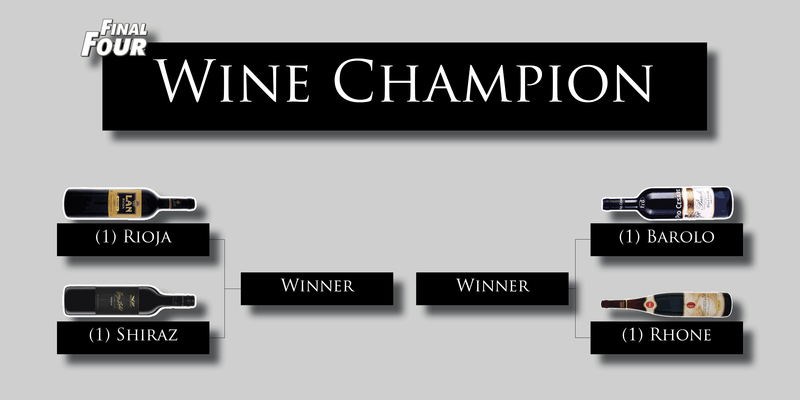 It’s simple – and you can even leave out Rias Biaxas if you’re not going to drink Spanish white wines. For that matter I can take or leave Montsant – but give me my Rioja, Priorat, and Ribera del Duero. 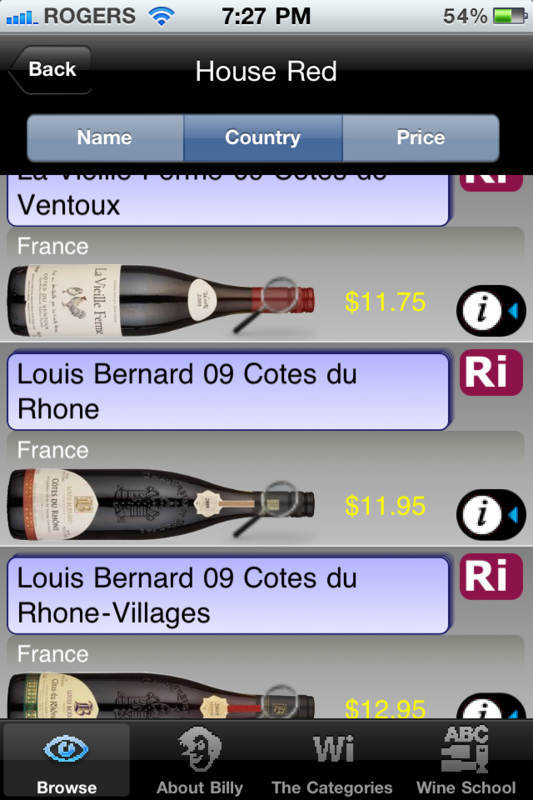 Using this method it is easy to understand Spanish wine. And if you have to make it even simpler then drink Rioja – LAN is my recommendation de jour. Last week I opened a wine that was bad. So bad that it ultimately “went the other way” – which is a cultural reference to the camp classic “Found a Peanut” (full lyrics below). In this classic camp / bus ride song a man finds a peanut, ultimately discovers that it is rotten, but eats it anyway. It is at this point that my brother stops singing and voices his concern over the idiot that eats it anyway. Camp counsellors, in their quest for lengthy programming, don’t even stop the song to say to kids “don’t try this at home”. Well, I took the way of counter-culture and did NOT “drink it anyway”. It was so bad that I did pour it down the drain. It didn’t really bug me that I bought a bad wine because in the words of Donald S. Cherry, “You have to try stuff”. I took a risk, bought an inexpensive cheap wine and lost. Sometimes a man just has to do what the Wine Spectator tells him to do. 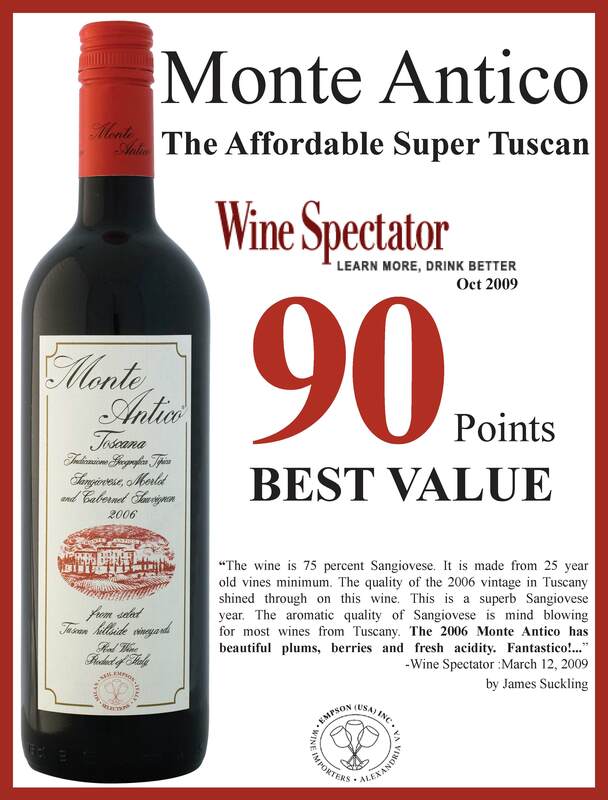 Besides getting a great score from the tasters at WS (90), the Monte Antico also was also wine #61 of the WS top 100 in 2009. 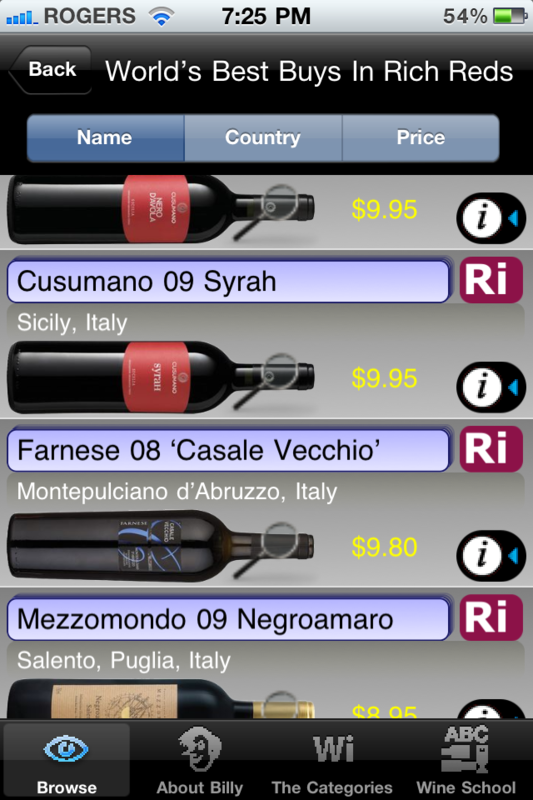 The blend for Monte Antico is 85% Sangiovese, 10% Cabernet Sauvignon and 5% Merlot. Drinking it reminded me that I like Sangiovese. It also reminded me that I have a newly found low tolerance for really bad wines. For those of you that just cannot sleep without reading the lyrics of Found a Peanut, here they are along with my brother’s commentary. Found a Peanut Lyrics – traditional sung to the tune of Clementine. Cracked it open last night. Ate it anyway, ate it anyway, – which is the key to the story as far as my brother is concerned. What idiot eats it anyway after discovering that it was rotten? Didn’t want me, didn’t want me,. Then I woke up, then I woke up,. Found a peanut, found a peanut,. I found myself staring at a great bottle of wine last week. 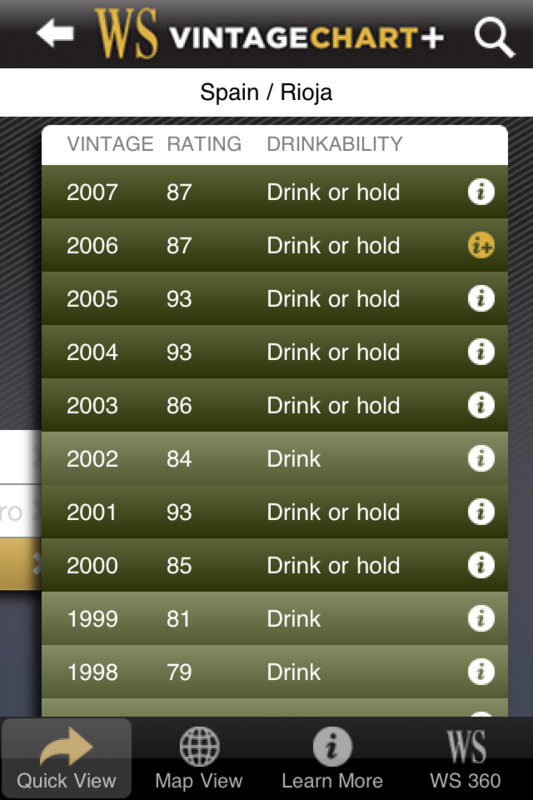 A 2004 single vineyard wine from Bodegas LAN – I love LAN – then I remembered that I forgot to memorize the Rioja vintages chart. Was it 2004 that was a crappy vintage or 2003? Who memorizes those things? What I did remember was that I own an iPhone – that means that with the proper app I never have to remember anything – not even my phone number – AE would have loved that. EINSTEIN, who was never able to recall his own phone number, was famous for not memorizing anything that could be quickly and easily looked up in a standard reference volume. “Never memorize what you can look up in books,” he said. 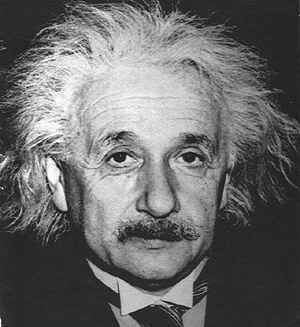 In fact, EINSTEIN claimed never to memorize anything which could be looked up in less than two minutes. Furthermore, EINSTEIN once declared that his second greatest idea after the theory of relativity was to add an egg while cooking soup in order to produce a soft-boiled egg without having an extra pot to wash. This was clearly a man who would have loved the idea of using his “telephone” to help him purchase a bottle of wine. Neither Albert or I can memorize this and hey, 2004 was a good year!